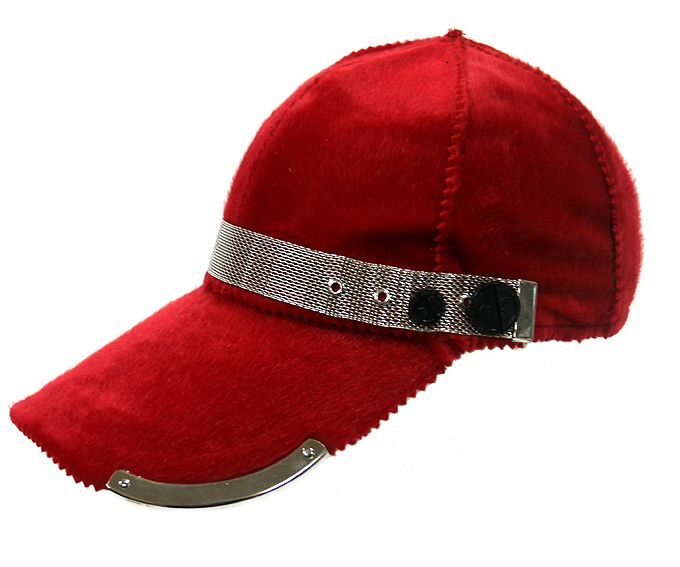 Baseball cap. Cotton base, covered with red wool. Customised with stainless steel metal logo and stainless steel edging. Metal Hi Tek stud buttons. Metal mesh band. One size. Adjustable strap at the back.